Spot dead pixels, hide desktop icons and more. Is there a better alternative to Screen Utility? Is Screen Utility really the best app in Desktop category? Will Screen Utility work good on macOS 10.13.4? 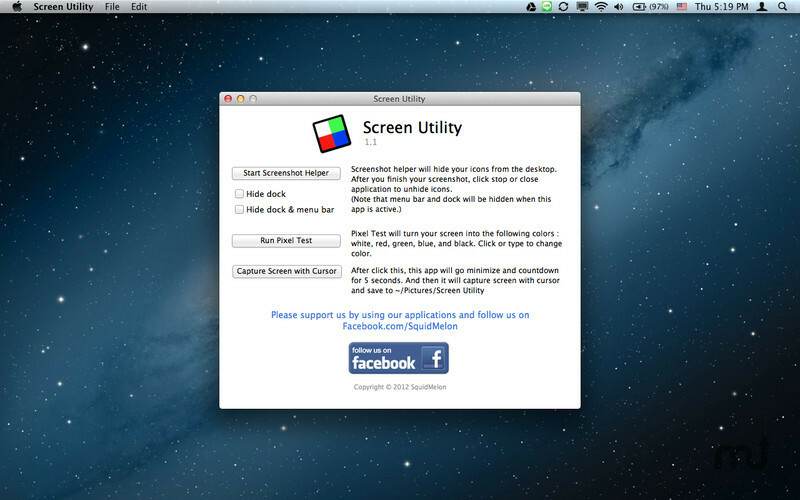 Screen Utility consists of 3 can't-miss features. 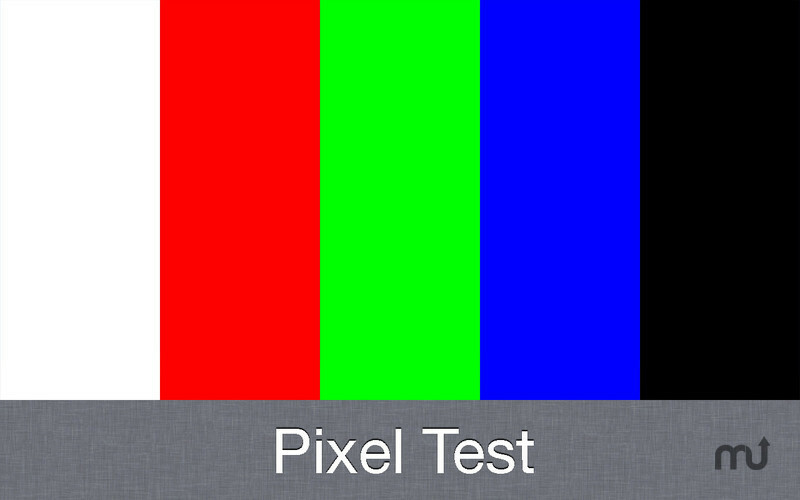 Pixel Test will help you find any dead, defective or stuck pixels in your screen. It will fill a color to your full screen so you can easily test your pixels. It will turn your screen into the following colors; White, Red, Green, Blue, Black. Click any input to change color. Screen Utility needs a rating. Be the first to rate this app and get the discussion started! Have you ever bored hiding icons on your desktop before taking a nice screenshot? You can click one button to hide your icons from the desktop. 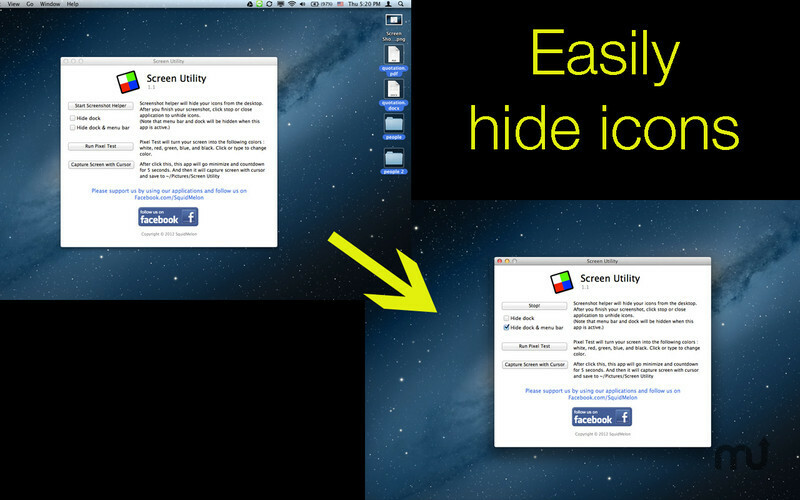 After you finish your screenshot, click stop or close application to unhide icons. 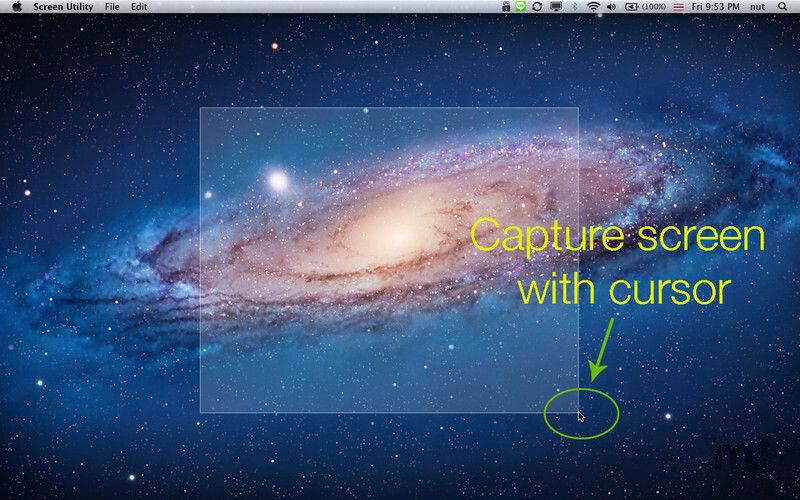 Built-in screen capture on Mac is cool. But it does not have ability to capture with cursor. Grab can do but it takes many steps to capture screen. 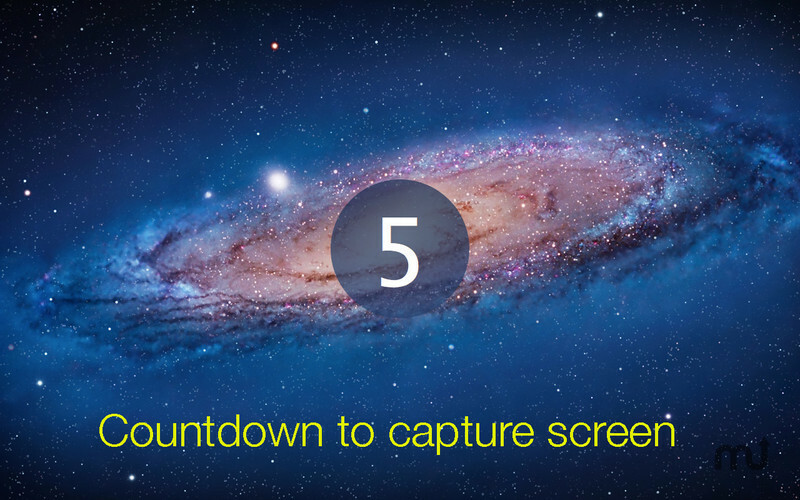 This function will help you easily capture screen with cursor. After click start, this app will go minimize and countdown for 5 seconds. And then it will capture screen with cursor and save to ~/Pictures/Screen Utility.